Want to delete a Facebook account? Having difficulty in deleting the account? Do not worry, we will teach you. If you see yourself caught in a web of social media and cannot control your mind to stop catching heat of it or you have come across an issue regarding your privacy and want to block all the ways which lead to social media, the first step towards success is to delete your Facebook account and here is our simplest guide which will teach you how to delete or temporarily deactivate your Facebook profile. 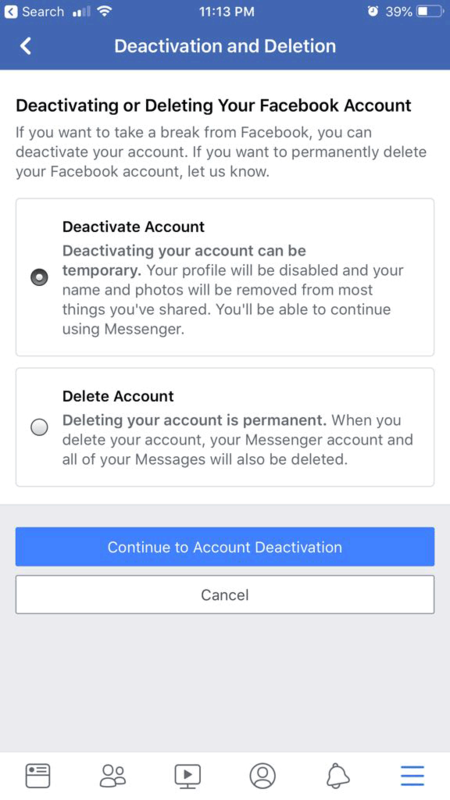 Deactivating yourself from the Facebook world for a shorter period of time is easy and you can join the social network again by just signing on it again. If you are having exams or busy schedule in which you want to disappear from social media rather than disconnecting from social media for the lifetime, here is how to do it. Open the Facebook app on your device like iPad, iPhone or Android. Tap on menu ☰ to open more options in the Facebook app. Menu icon location may be at the different screen location on iOS and Android device, so tap accordingly. Tap on Settings and privacy and there tap on Settings. From the opened options, scroll down and tap on Account ownership and control. There you will find an option of deactivation and deletion, tap on it. Chose the option of deactivate account and tap on the blue ticker which is showing continue to Account deactivation. You will be asked to enter your password to confirm the action. Now confirm your action that you have made your mind to deactivate your account. Congratulations, you have successfully deactivated your account. if you want to activate your account back in near future, just simply open your Facebook app and signing in simply using your account and you will be connected to the social world again. 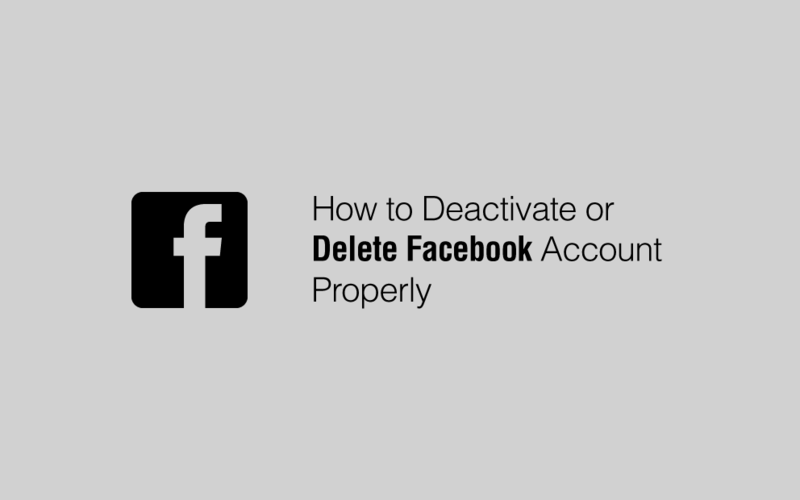 If you want to delete your Facebook account permanently, here is the simplest way to do it. You can just follow the above mention guide or you can do it directly by clicking on the given link below. 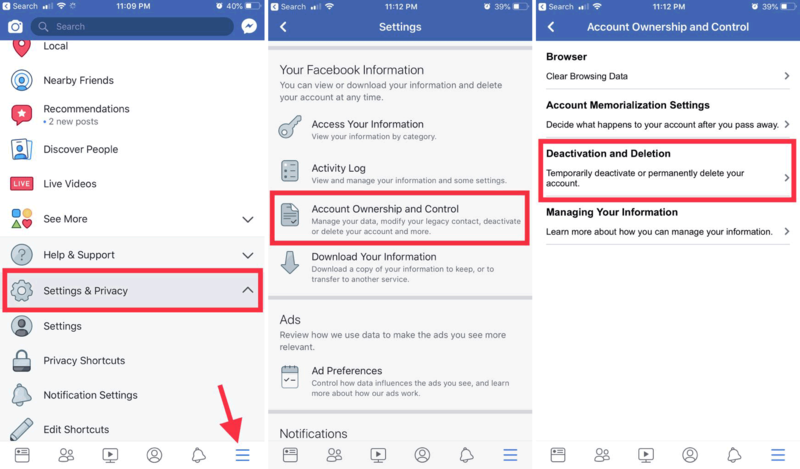 To delete facebook account using the Facebook app on your iPhone, iPad or Android, just follow the above-mentioned steps from 1 to 5 under deactivate process. In Step-6 choose Delete Account option and then tap Continue to Account Deletion. Grab your PC and open any browser to open Facebook page. Click on the delete account and you will be asked to enter your password in order to confirm your action. 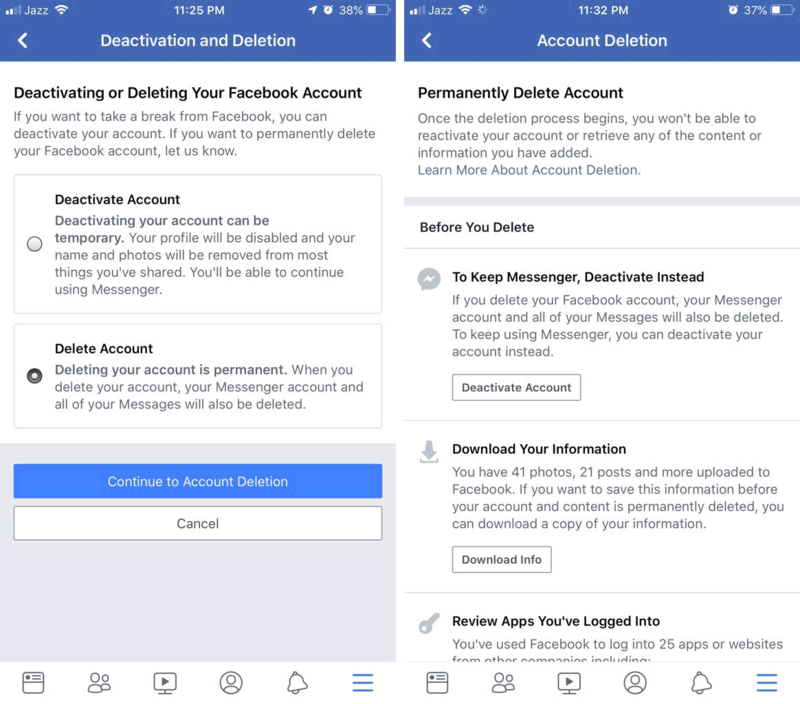 Before you delete Facebook will ask you to Download your information, Review apps you have logged into and also suggest to deactivate account instead delete it. Still, want to delete? just tap the Delete Account button at the bottom of the screen. Type your password and click continue to confirm your action. Tada! You have successfully deleted your account. Now your account is on deletion period and you need to wait 14 days and then your account will have vanished from social media hub Facebook. Facebook gives it user 14 days to change his mind and join Facebook again. Make it sure that you have successfully logged out from your iPhone’s or iPad’s Facebook app. If you change your mind in the nearer future you can join your account within 14 days and you will get your account back as it was before deleting. Previous Post How to Wipe the Data Before Selling your Phone?